If you’re developing a safety-critical or security-critical application, chances are good that your process will need to be audited to meet certification or qualification requirements. Bi-directional requirements traceability—from requirements, to design, to implementation and verification activities and artifact —differentiates your organisation from the competition and ensures your shortest path to device approval. Even if your process and resulting code doesn’t need to meet stringent certification demands, requirements traceability and management increases code quality and the overall safety, security, and effectiveness of the application. Managing software requirements using informal business tools like spreadsheets might work for a while, but even for smaller projects and project teams, managing the impact of changes throughout the entire life cycle can be difficult. You need to be able to efficiently and accurately respond to requirements changes. You also need to quickly determine which design and development artifacts must be updated, which tests must be re-run after the changes are implemented, and how to document that you’ve adequately tested the code to meet the requirements changes. If you have a complex system and a large development team, the sheer number and distribution of requirements can make that task unmanageable. To cope, many companies are moving to formal tools and requirements-driven development and testing. By focusing on requirements, teams are able to find the sweet spot between over-engineering (which is expensive and time-consuming) or under-engineering (which raises the risk of failure). The right tools can help you mitigate risk and produce high-quality products that meet requirements on time and within budget. TBmanager is a role-based requirements management tool that lets teams work on individual activities and link code and verification artifacts back to higher level objectives. TBeXtreme is an optional module that detects code changes and determines software regression testing requirements. The LDRA tool suite is ideal for development teams who are moving to a more formal development process to improve code quality and maintainability, including static and dynamic analysis, coding standards compliance, and unit, integration, and system testing. LDRA provides a comprehensive, role-based approach to traceability. 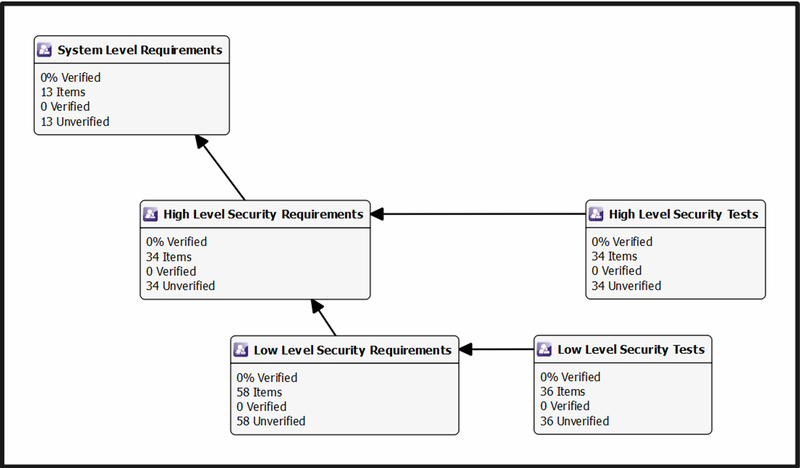 Requirements and verification tasks can be assigned to team members, and all resulting artifacts can be aggregated and linked. The result is a complete bi-directional process across the life cycle so you can ensure that any changes to requirements, design, or source code are easily understood, verified, and traced. LDRA tools help you detect changes in requirements or the developed software and easily organise and re-run appropriate tests against any affected components. We provide an optimal environment for determining impact analysis either upstream to requirements or design or downsteam to implementation and test.